Classics, comfort and chic have been rejuvenated of late reinterpreted by a new group of emerging talents. As the incubator doorway for innovative and creative talents in Asia, Joyce has always been dedicated in discovering emerging designers from all across the world, and introducing them to our discerning customers. This season, we have been fortunate enough to hand pick some emerging independent labels, which offer a wide range of modernized styles. From high-end street wear and luxe outerwear to contemporary chic and couture-inspired day wear. Each of them has an individual singular sense of style and philosophy to offer in this ever-changing fashion scene. Vetements, which means clothing in French, was founded by four designers who have worked at renowned luxury brands including Celine, Balenciaga and Maison Martin Margiela. Vetements is a celebration of their ideas and features minimalist pieces that are timeless yet unique. The debut collection includes reworked pieces such as a skirt fashioned from a pair of Levi’s 501s along with basics made from futuristic materials such as aluminium nylon. Available at Joyce Pacific Place. Based in Paris, Bouchra Jarrar spent 20 years working with couturiers such as Jean Paul Gaultier and Christian Lacroix, and at brands like Balenciaga. In 2010 she launched her own label focusing on “couture for the day.” Her chic yet contemporary vision includes plenty of androgynous tailoring and pure lines. Masculine strictness clashes with feminine sensuality in everyday pieces. 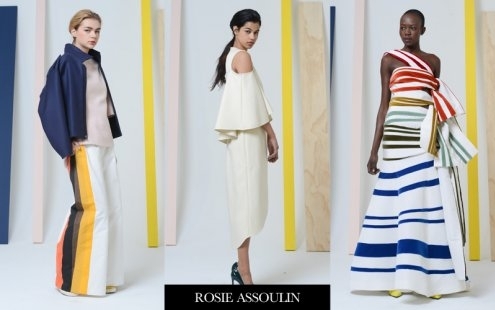 Fashion Institute of Technology graduate Rosie Assoulin may have debuted her first collection earlier this year but she quickly become a favourite with editors and has been nominated for a CFDA Womenswear award. Her style is instantly recognizable with her controlled volumes, structured silhouettes and expert use of draping and fabrics. Her latest collection mixes old world elegance with a modern vibe as seen in her cut-out tops with billowing sleeves and sweeping floor length evening skirts that tie around the waist. 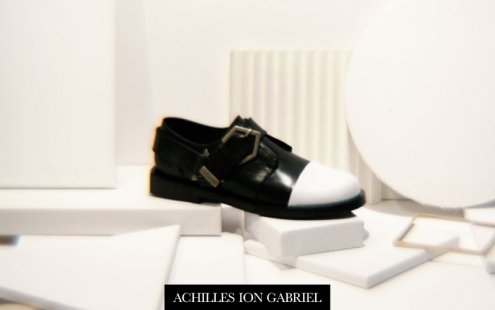 Finnish born shoemaker Achilles Ion Gabriel launched his shoe line in 2013 at the age of 25 years old. His streamlined designs offer a contemporary twist on classic men’s shapes such as the Derby and Chelsea, which are updated with details such as a wide elastic band across the front. His architectural designs are crafted entirely by hand using speciality leathers. 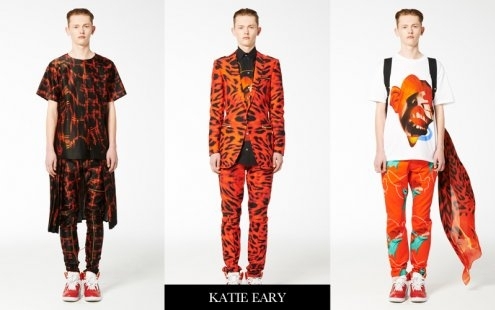 Australian-born menswear designer Mic Eaton is the founder of Material Boy. In 2009 he relocated to Antwerp to relaunch his collection which combines1990s sportswear with a European sensibility. Katie Eary studied at the Royal College of Art and graduated in 2008. After a stint at Levis she founded her own men’s wear label in 2009. 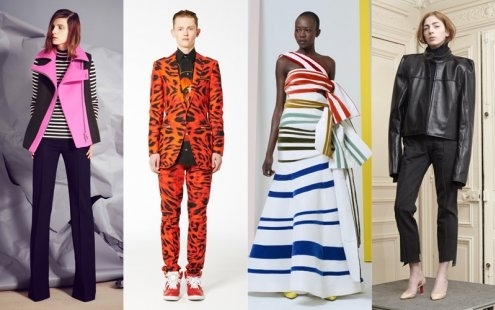 Inspired by music and streetwear, she approaches men’s wear with a couture aesthetic while pushing the boundaries of fashion. Her silhouettes vary from urban to retro and often uses bold colour and vivid large-scale prints to create her own version of glamorous streetwear.